The book of 2 John is one of the most neglected books in the Bible. In it, John warned of the danger of compromising truth in the name of love, which the church had done by being hospitable to itinerant false teachers. He instead instructed that love and hospitality must be regulated by the truth. While 2 John says don’t show hospitality to false teachers, the tiny book of 3 John says do show hospitality to true, faithful teachers. In other words, if you really love the truth, then you’ll love and accept anyone who stands up for it. The book of Jude is essentially a warning to the church to fight the right war: against false teachers but for the truth, building up the faith. To sum it up, these three little letters tell you how to express your love: 2 John warns you to be careful showing love and hospitality to false teachers, 3 John instructs you to show love and hospitality to faithful teachers, and Jude says you should lovingly warn everyone when it comes to the truths of the gospel. How can you tell a false teacher from a faithful one, according to 2 John 1:7, 9-11? What example of love, truth, and hospitality did the believer Gaius set in 3 John 1:3-8? Read Jude 1:3. How can you contend for the faith without being contentious (see Ephesians 4:15; 1 Peter 3:15)? List the characteristics of true love from 1 Corinthians 13:4-8. Which one(s) have to do with truth? How can you balance love and truth in your life? The little book of 2 John is one of the most neglected in the New Testament. 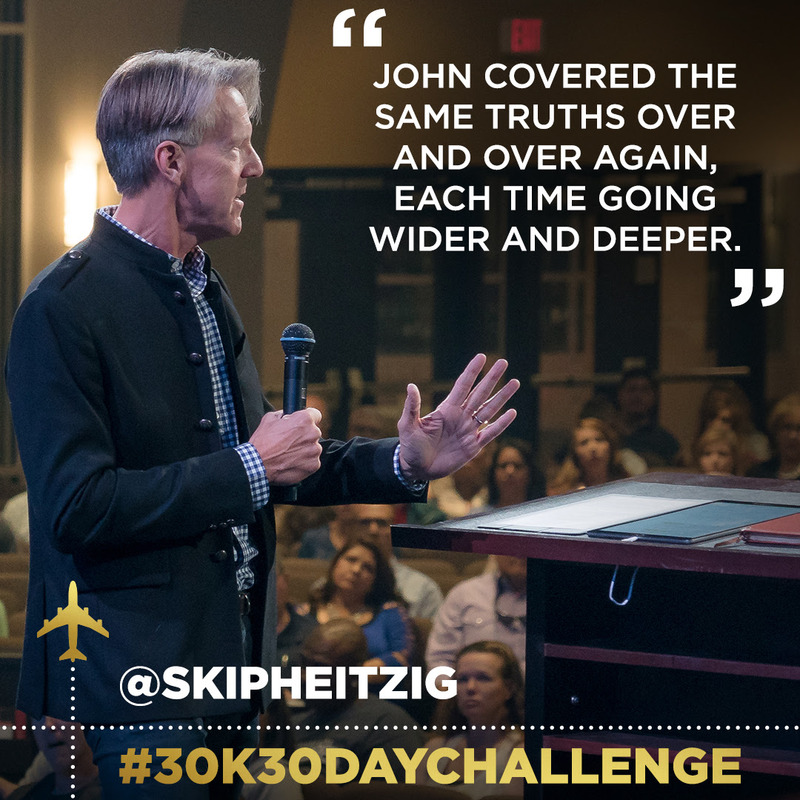 In this message, Skip shows us how John warned believers to guard against false teachers, specifically those who say that Jesus didn’t come in the flesh. Want to learn what it means to contend for the faith and confront false teaching? 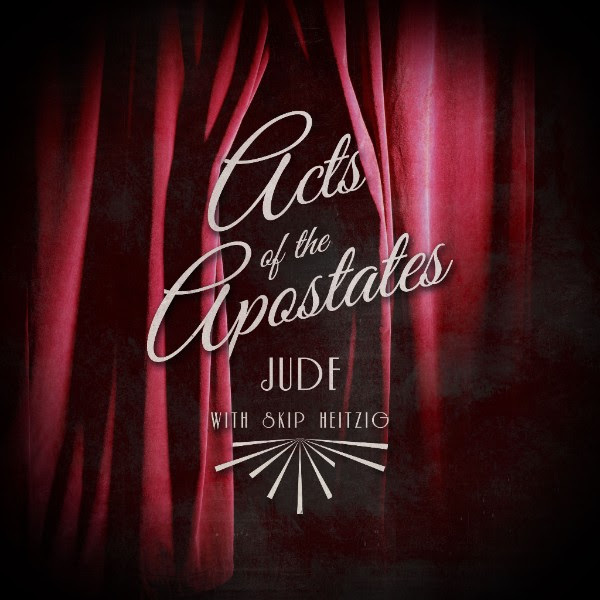 Download this free teaching series from Pastor Skip called Jude: Acts of the Apostates. Christian love has been greatly misunderstood. Unbelievers tend to think it means tolerating anyone and anything. But if your love has no boundaries based in truth, then it isn’t really love. True love requires that you love the truth. Heavenly Father, thank You for 2 John, 3 John, and Jude. Since You said that Your Word will not return void but will accomplish the purpose that You’ve sent it for, I pray that having been exposed to it I indeed would be changed by it. Help me to balance love and truth in my interactions with other people, whether believers or unbelievers. 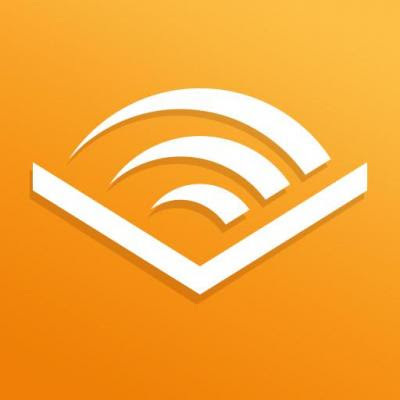 Did you know some of Pastor Skip’s teaching series are available as audiobooks on Audible? Check them out today. Memorize a verse from this week’s lessons that stuck out to you. Figure out how to apply something God showed you this week. Start to plan what you’ll do once this challenge is over. Have you figured out a good time and place to have daily devotions with the Lord? What in the Bible do you plan on reading? 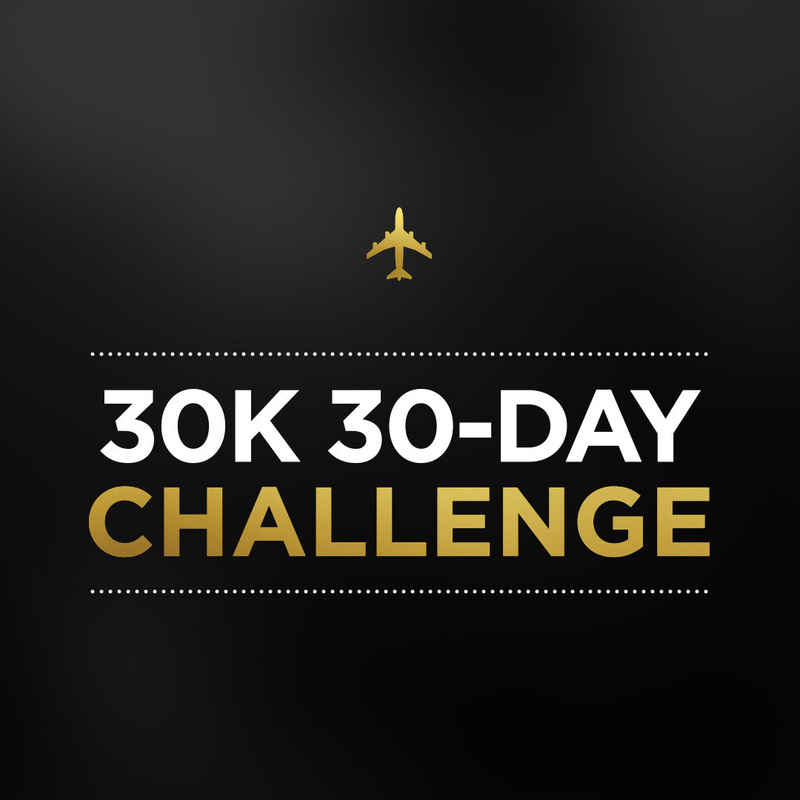 If you’re enjoying the 30K 30-Day Challenge, don’t keep it all to yourself—tell your friends and followers. 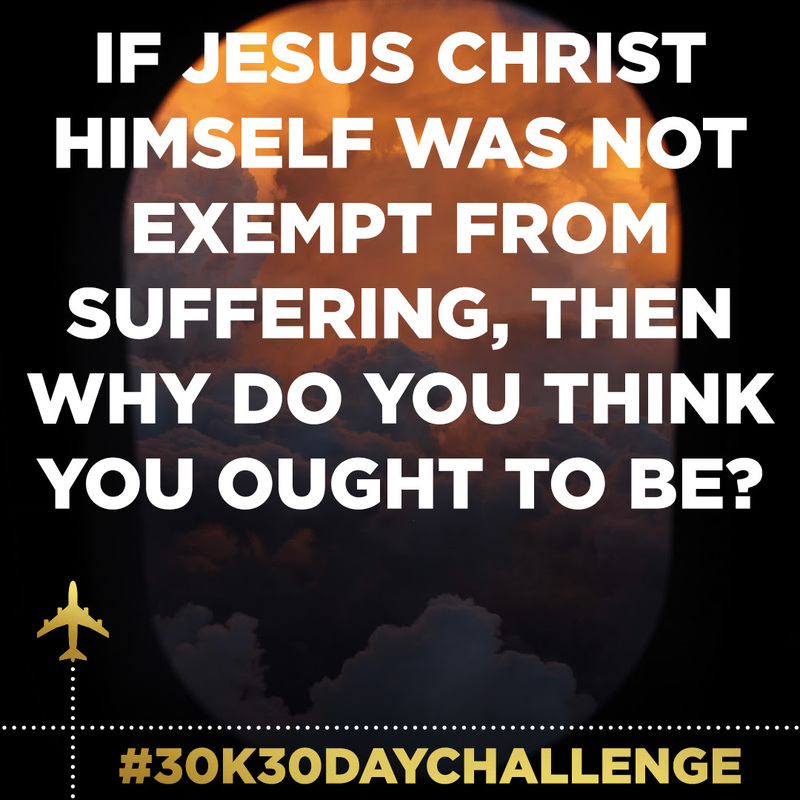 Share the images below on social media, and make sure to use the hashtag #30k30daychallenge. 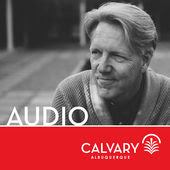 Stay connected to God’s Word by subscribing to the free Calvary Church with Skip Heitzig Podcast on iTunes. In John 15, Jesus said, “Abide in Me, and I in you. As the branch cannot bear fruit of itself, unless it abides in the vine, neither can you, unless you abide in Me” (v. 4). When Christians have problems in life, the root problem is usually that they’re failing to genuinely seek the Lord through daily devotional time in the Word and in prayer. 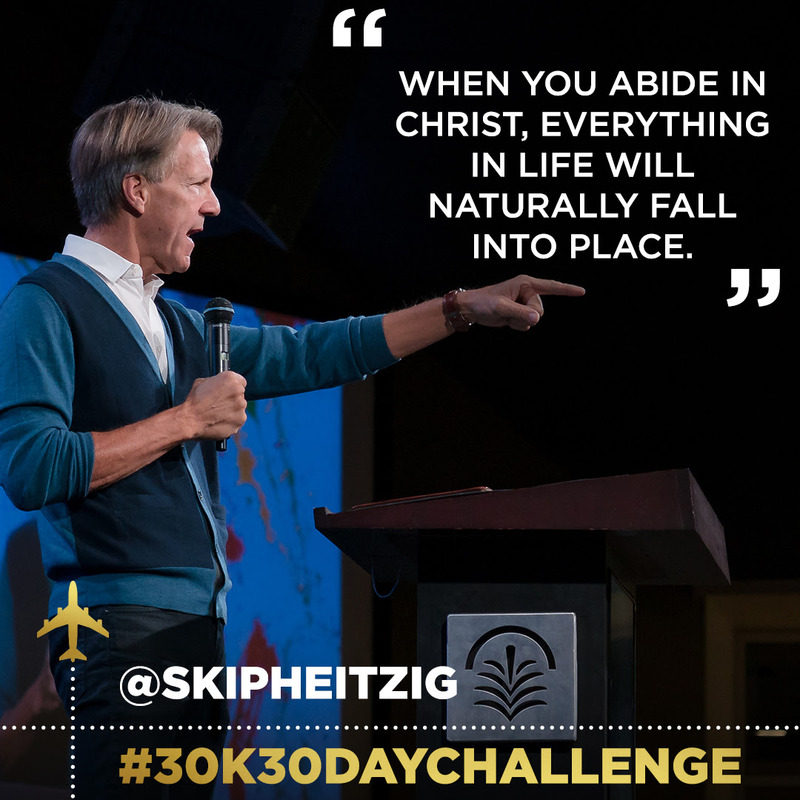 But when you abide in Christ, everything in life will naturally fall into place. To abide in Christ means to maintain a constant, living communion with the Lord, with His words at home in you. This sort of consistent exposure to the Bible with a consistent desire to obey it will do more for your Christian walk than any other thing I can think of. So my exhortation to you is to continue in the truth. Whatever you have to do, make it a daily habit to be alone with the Father and feed on the Word. Make His Word your priority in times of delight as well as times of distress. It’s the primary way you’ll hear from Him. Read John 15:1-10. What can you do without Jesus? What happens when you abide in Him, according to this passage? How does Psalm 1:1-3 describe the person who continually meditates on the Bible? What’s the biggest challenge you face when it comes to abiding in Christ? 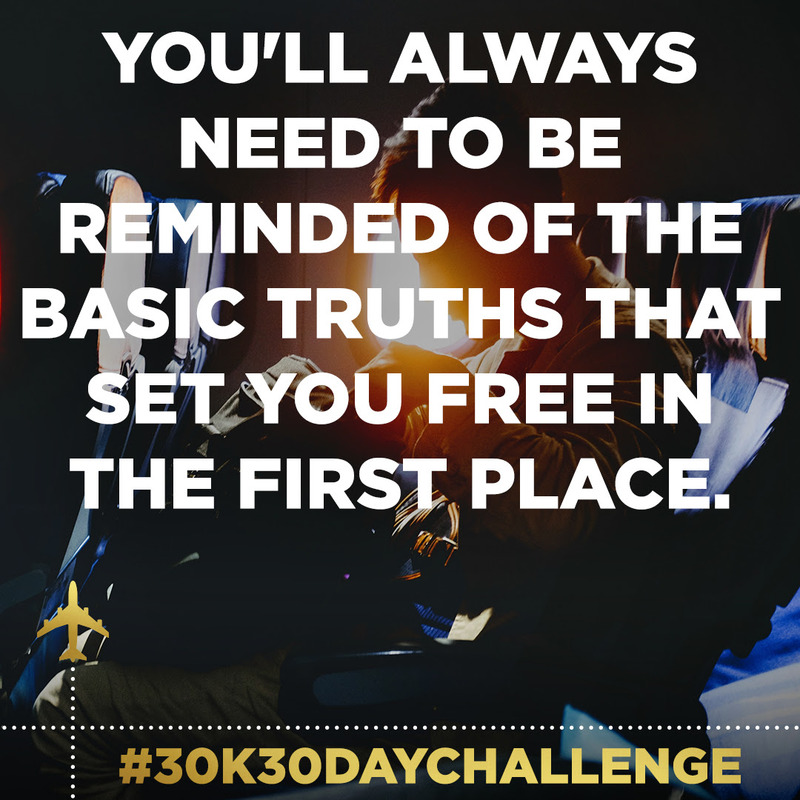 What have you learned from the 30K 30-Day Challenge that you can apply? Next to Bible study, prayer is one of the most vital disciplines of the Christian life. 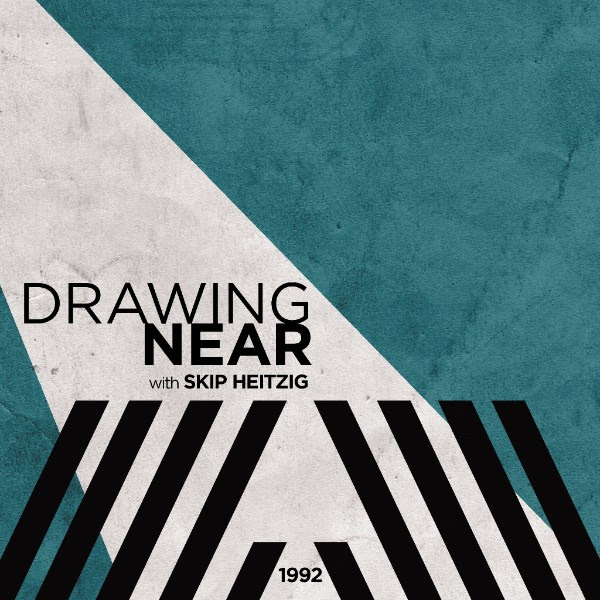 Download Drawing Near, Pastor Skip’s teaching series on prayer, for free today. 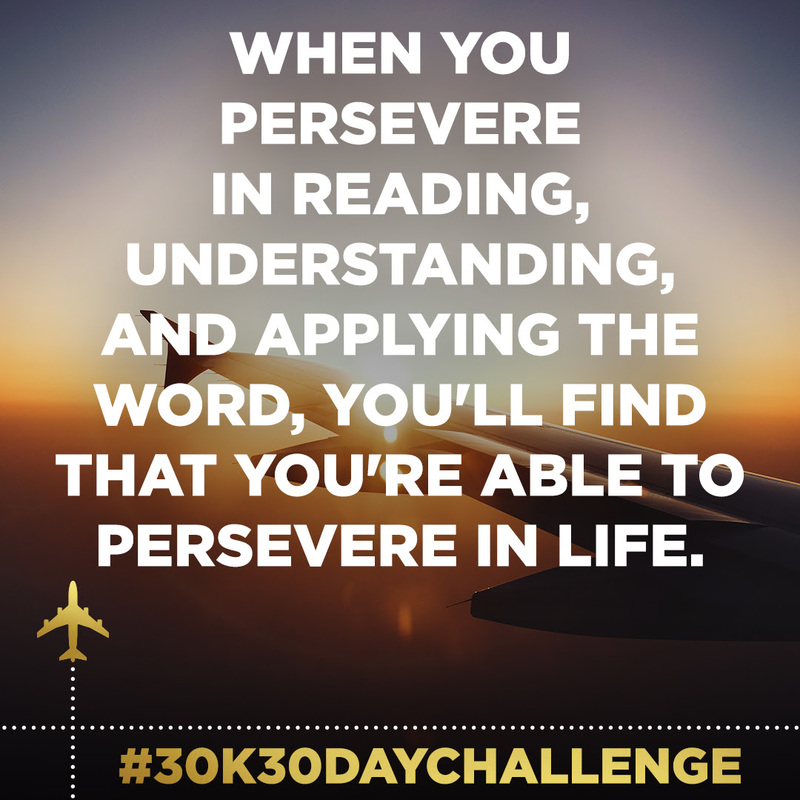 When you persevere in reading, understanding, and applying the Word, you’ll find that you’re able to persevere in life. So when you lose your job, the doctor says it’s cancer, or somebody leaves you in a relationship, you won’t be crushed—you’ll resort to a promise of Scripture that holds you firm. Father, I pray that You would create in me a hunger and a thirst to know more of Your Word. Please help me abide in You through personal devotional time in prayer and studying the Bible—and help me persevere in making the time to do so. I pray that Your Word would become more alive to me than ever before. 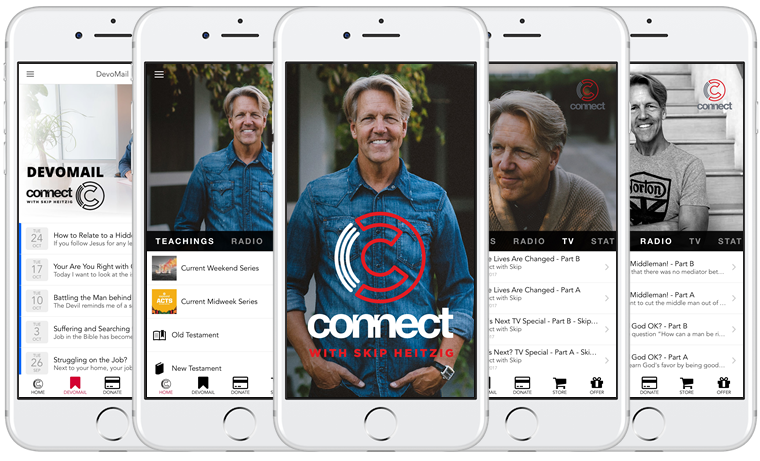 Listen to and download over 3,000 of Pastor Skip’s Bible teachings from the past thirty-plus years on his website, connectwithskip.com. The apostle John was part of Jesus’ inner circle, and it’s believed he wrote 1 John toward the end of his life, when he was very old. The letter has a tender, familial tone to it, like that of a father to his children, but it doesn’t follow a typical structure or outline. The best way to view 1 John is by looking at it as a series of five spirals or revolutions: John covered the same truths over and over again, each time going wider and deeper. 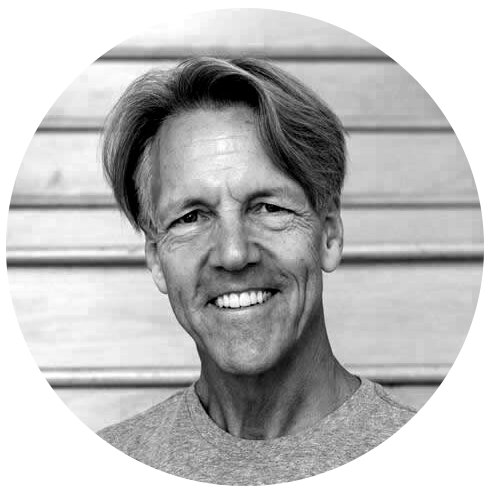 In covering these basic truths, John offered a revolutionary way of thinking and living life. More specifically, the truths he shared can revolutionize five things in your Christian walk: your fellowship with other believers, your joy, your holiness, your discernment against false teaching, and your assuredness in salvation. In short, these truths can revolutionize your relationship with the Lord and with people. Read 1 John 2:22-23; 3:7-9; 4:1-3, 8. How can you develop discernment and tell if someone is truly a Christian? A huge theme of 1 John is love. How do we know love (see 1 John 3:16)? How are we to love others (see vv. 16-18)? First John has a very tender tone, as John called the believers “little children” and “beloved.” In this short study, we learn that John boiled all of life down to two levels: horizontal (between people) and vertical (between us and God). 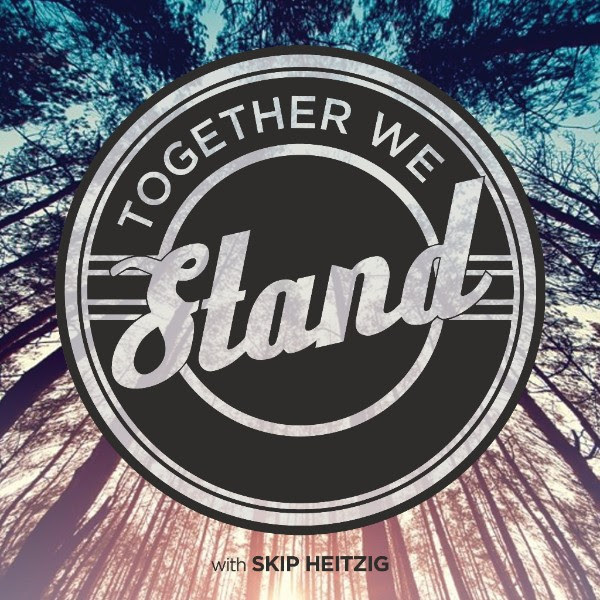 If you want to explore the truths of 1 John more in-depth, check out this free series from Pastor Skip titled Together We Stand. The fact that John wrote in revolutions and went back over the same truths indicates that no matter how old or mature you are in the faith, you’ll always need to be reminded of the basic truths that set you free in the first place. So get back to the simplicity, the irreducible minimum of the gospel. Lord, thank You for the truths of 1 John. I am so thankful that Christianity offers a revolutionary way of thinking and living life. Help me get back to the simplicity of the gospel. 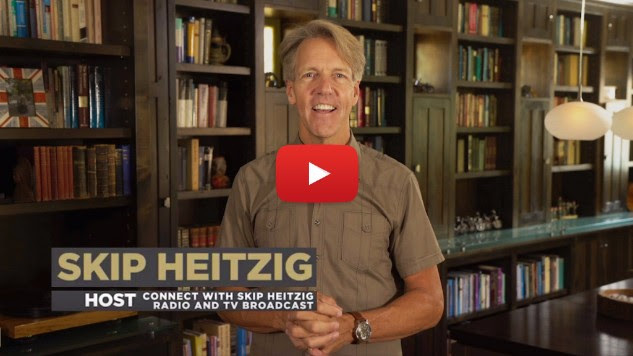 Connect to God’s Word anywhere you go by downloading the Connect with Skip Heitzig appfor iPhone or Android. Perhaps more than anything, the apostle Peter is known for being strong-willed and impulsive. We know his failure, denying Jesus three times. But we can’t forget his recovery and how he became the chief preacher of the gospel in the early church. And I think 1 and 2 Peter show this transformation: Peter wrote these letters to strengthen the faith of suffering, struggling believers. In 1 Peter, his theme is simple: believers can expect danger from the outside world in the form of persecution. In light of that, God’s plan for all Christians includes five things: being secure in their salvation, surrendering to God’s will, submitting to authority and each other, suffering for Jesus Christ, and serving others. On the flip side, Peter’s theme in 2 Peter is that Christians can expect danger from inside the church via deception and false teachers. 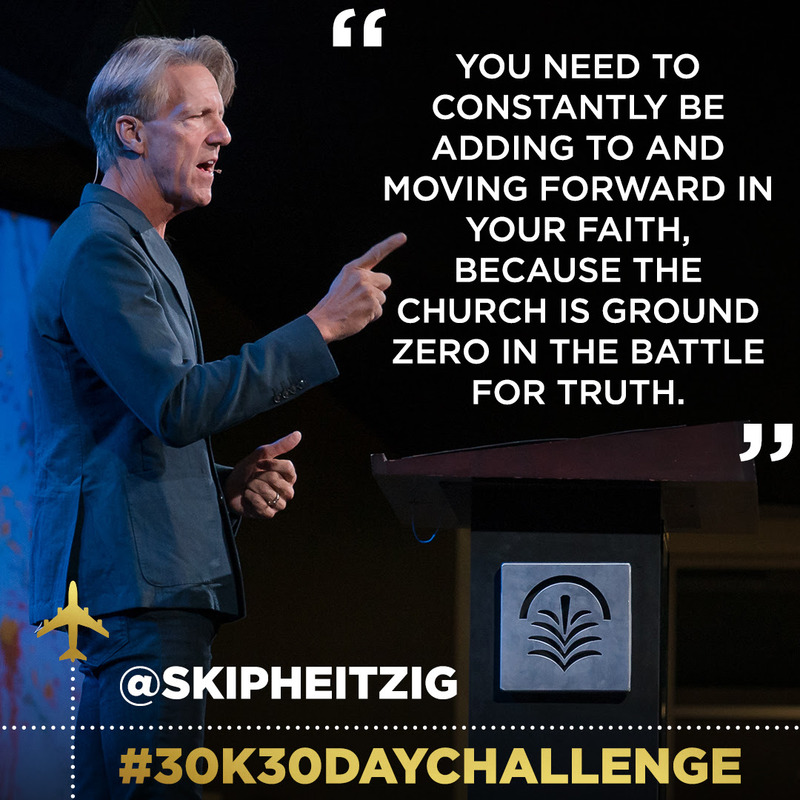 As he explained, you need to constantly be adding to and moving forward in your faith, because the church is ground zero in the battle for truth. His words continue to ring true for us today. How is the genuineness of your faith tested (see 1 Peter 1:6-7)? How precious is it? Read 1 Peter 2:13-17. How are you to live as a citizen of heaven on earth (see also Philippians 3:20; Romans 13:1-7)? Read 2 Peter 2. What are some of the characteristics of false teachers? How can you determine a person’s legitimacy in the Lord (see Matthew 7:15-20)? Answer the question Peter posed in 2 Peter 3:10-12. First Peter was written to a group of Christians who were suffering for their faith. In this message, we see how Peter taught that believers are secure in Christ and that we must be submissive both to men and to God’s will. 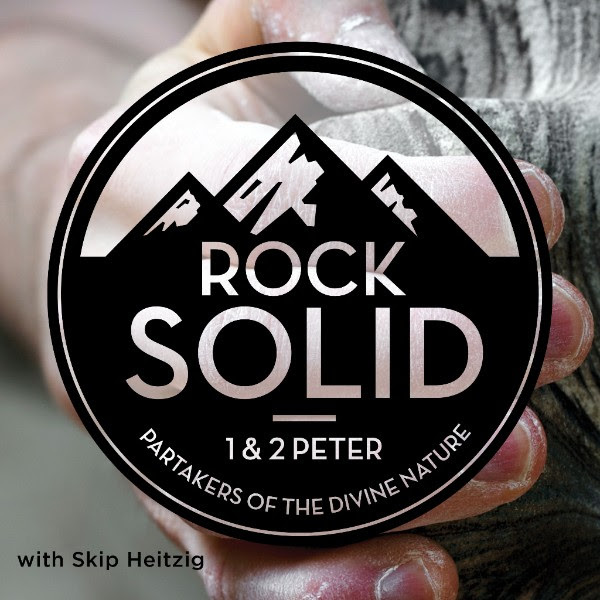 Pastor Skip’s series Rock Solidtakes a verse-by-verse look at 1 and 2 Peter, and we’re excited to offer it as a free download to you today. Peter’s writings have a simple premise: If Jesus Christ Himself was not exempt from suffering, then why do you think you ought to be? When you’re persecuted for being a Christian, you become a partner with Christ, entering into one of the deepest possible types of fellowship with God: the fellowship of His sufferings (see Philippians 3:10; 1 Peter 4:13). Heavenly Father, help me understand the gravity of Peter’s writings—that there is danger from the world but perhaps even worse danger from those inside the church who spread false teaching. I pray that You would help me stand up for the truth and stand fast in trials, knowing that my suffering isn’t in vain. Need a quick boost of solid truth? Check out Pastor Skip’s booklets on hard-hitting topics like prayer, divorce, and lust. The book of James is not a doctrinal book; it’s a very practical book about Christian maturity. Its author, James, likely the half-brother of Jesus, addressed this letter to believers who knew the doctrines of the faith already but needed to start growing up in the Lord. One of the letter’s key verses is James 1:22: “Be doers of the word, and not hearers only, deceiving yourselves.” You have to put on your Christianity and wear it, because “faith without works is dead” (James 2:26). Now, James wasn’t saying we’re saved by works. Works are merely how you can tell your faith is genuine. Anyone can claim to have faith without really having it. 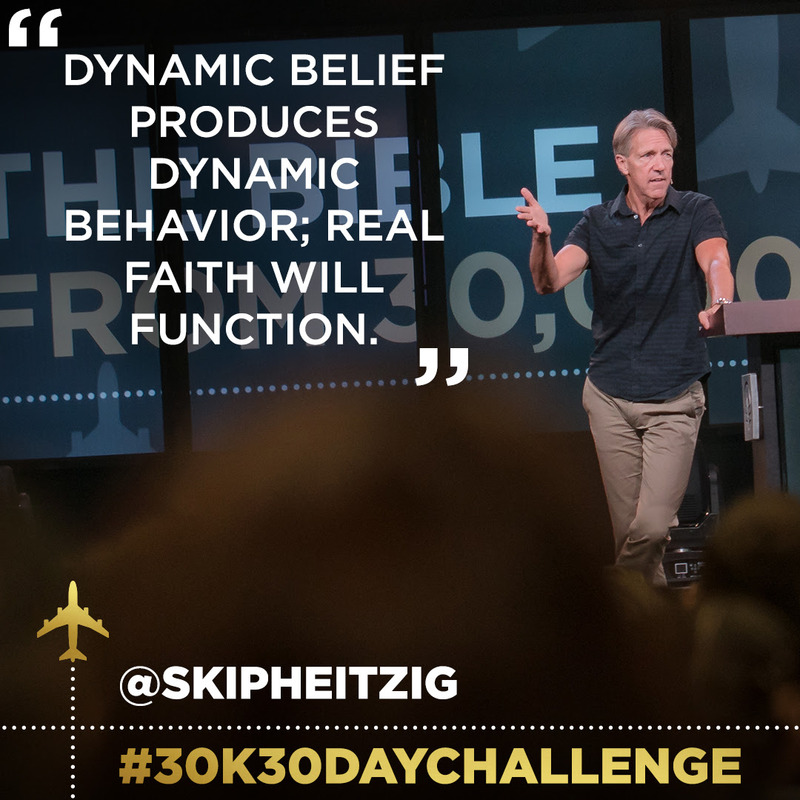 But dynamic belief produces dynamic behavior; real faith will function. What’s the upside—and necessity—of going through trials, according to James 1:2-4? How foolish is it to read the Word but not do what it says (see James 1:23-24)? What’s the word picture James used to emphasize this? Compare and contrast James 2:18-19 with Matthew 7:21-23 and Luke 6:46. How can you tell Jesus is truly the Lord of your life? What does James 3:8 imply about who can tame the tongue? James isn’t really a book of doctrine; it’s a very practical book. It teaches how to be a mature Christian and how to live what you know and practice your faith. 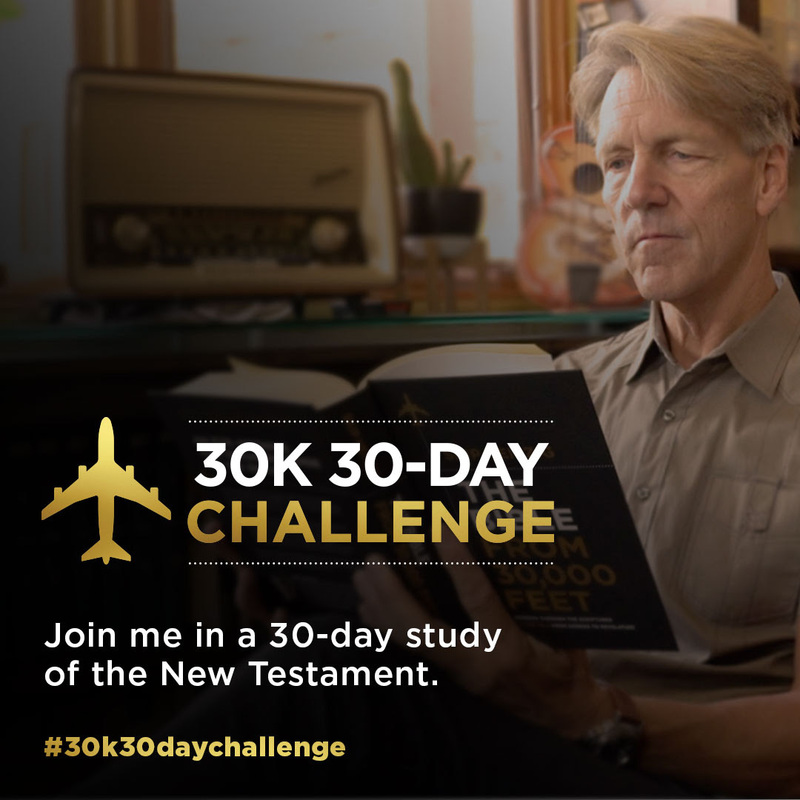 Join Skip for a quick flight over the book of James. The book of James gives you practical guidance on how to mature in your walk with God. 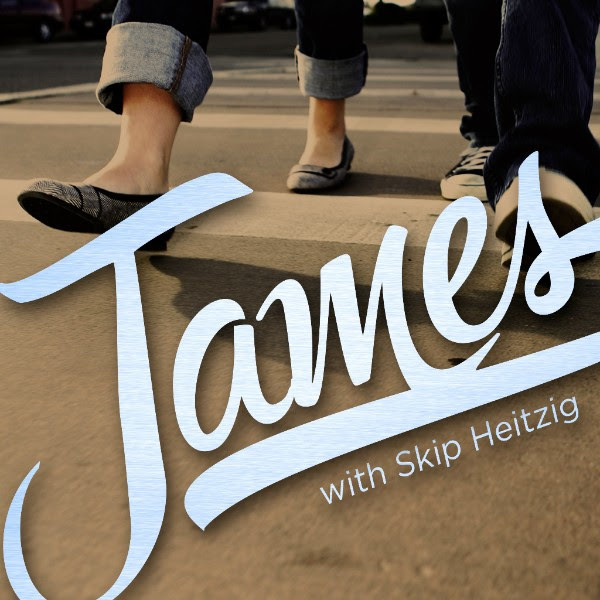 Download Pastor Skip’s free series on James to learn more. James reveals that spiritual maturity is the natural-supernatural result of your life being connected to God. The best part is that nothing is keeping you from growing into a mature man or woman in the Lord. You can grow as much as you want. And how do you do that? By feeding on the truth and doing what it says. Father, I pray that I would always be in the process of adding to and growing in my faith, not stagnating. Please help me to not just believe what Your Word says, but do it. Many of Pastor Skip’s teachings come with detailed notes, great for personal or group study. Find them in his teaching archive at connectwithskip.com/teachings. Hebrews is less like a letter and more like a logical essay or sermon. We’re not sure who wrote it, but it was most likely written to Jewish Christians—people who knew the Old Testament—because the book is saturated with references to Levitical law and sacrifices. You could cut this book into two slices, with chapters 1-10 being doctrinal instruction and chapters 11-13 being practical exhortation. The overarching theme of the letter is that Jesus Christ is the perfect, full, final expression of God and is better than anyone or anything else—than any other system of religion. In fact, the author of Hebrews was obsessed with the superiority of Jesus Christ—and I’m glad he was, because he was right. Under the old covenant, access to God was restricted. You had to go through rituals, sacrifices, courts, and the Levitical priests. But this covenant was only temporary. The new covenant is eternal, just like Jesus Christ. Under this covenant, you have unfettered, unrestricted access to God because of the sacrifice Jesus made on the cross once for all. What kind of a High Priest do we have in Jesus, according to Hebrews 4:14-16? Why can we come boldly before God? Is this your default approach to Him? Why or why not? Read Hebrews 8:7-13 and Jeremiah 31:31-34. Why is the new covenant better than the old covenant? Read Hebrews 7:27, 9:12, and 10:11-12, along with John 19:30. How complete is Jesus’ sacrifice for sins? Do you have to add anything to it? What exhortation does Hebrews 12:1-2 give the believer? How are we empowered to put this into practice? The theme of Hebrews is that Christ is the perfect expression of God. 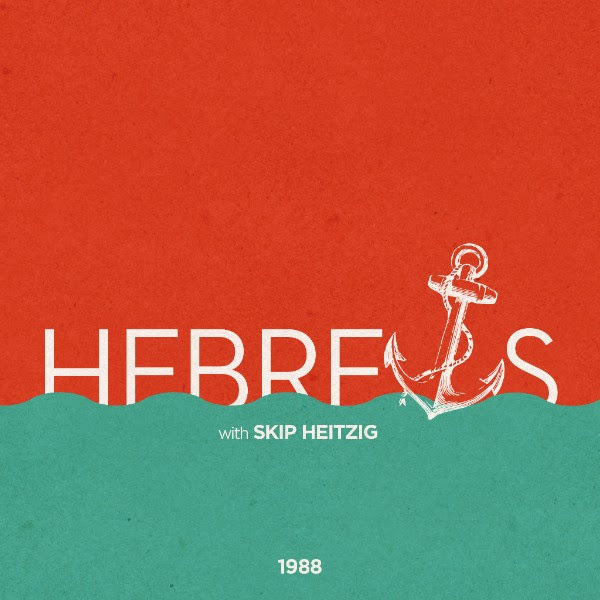 In this short study of Hebrews, Skip explains that Jesus has a better ministry than the old covenant. If you want to dig deeper into the life-changing truths of the new covenant, we’d like to offer you this free five-message series from Pastor Skip on Hebrews. Because Christ is better, Christianity is better. Trusting in religion or rituals—even if they were originally given by God, as Judaism was—won’t take a person to heaven. Jesus is the only hope for salvation. 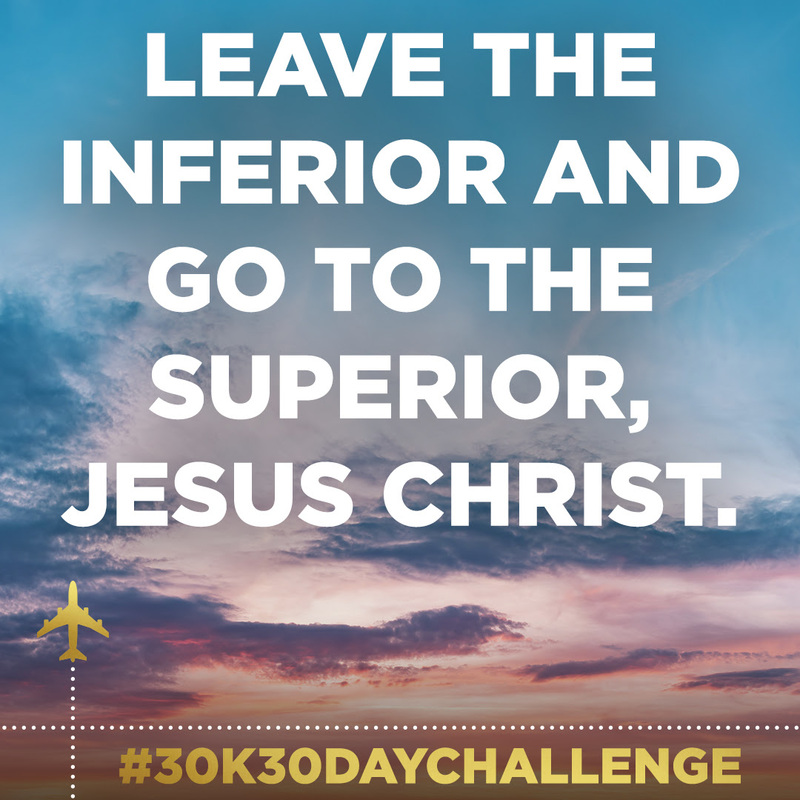 So leave the inferior and go to the superior, Jesus Christ. Lord, if I’m trusting in my religious background, my upbringing, or any rituals I’ve gone through other than personally and authentically trusting in Christ, I pray that You would open my eyes to that. Please help me leave the old and come into the new—leave the inferior and go to the superior, Jesus Christ Himself. 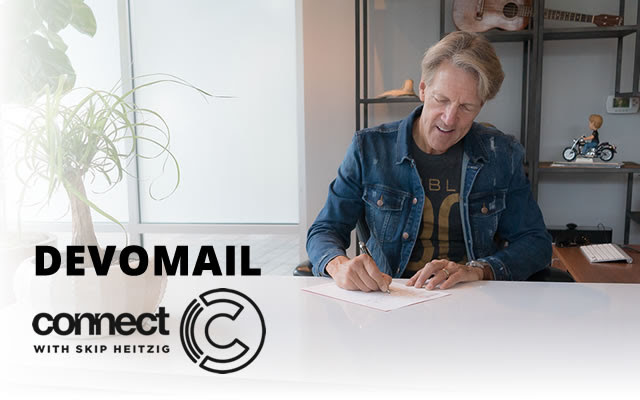 Get Pastor Skip’s devotional email, DevoMail, delivered straight to your inbox—subscribe today. Paul wrote the letter of Titus to a pastor on the island of Crete, and Philemon to a wealthy slave owner in the town of Colossae. Titus is the last of the Pastoral Epistles, and it’s all about order in the church. The church on Crete needed strong leadership and solid doctrinal teaching, and the perfect person for the job, according to Paul, was the Gentile convert Titus. So Paul wrote to Titus to describe a healthy church: it involves leadership, discipleship, and stewardship. Philemon is the shortest book in the New Testament, and it deals with the controversial subject of slavery. One of the slaves of Philemon, a wealthy and prominent member of the church at Colossae, ran away. But this slave, Onesimus, got saved while on the run and came under the ministry of Paul. So Paul called Philemon to take him back, forgiving and receiving him as a brother in Christ. For, as Paul wrote in Galatians, “There is neither Jew nor Greek, there is neither slave nor free, there is neither male nor female; for you are all one in Christ Jesus” (Galatians 3:28). Read Titus 1:5. What else did Paul have to say about setting the church in order (see 1 Corinthians 14:33, 40)? What was it in relation to each time? What part of Titus 2:1-10 are you to follow as a member of the church? How does Paul’s offer to Philemon in 1:18-19 reflect what Jesus did for you and me? In the book of Titus, Paul gave a list of qualities that church leaders should have. In this teaching, Skip points out that Paul also explained what it means to follow Christ and how we should conduct ourselves in the world. The book of Titus acted as an operations manual for the early church, describing the role of each group of people in it. 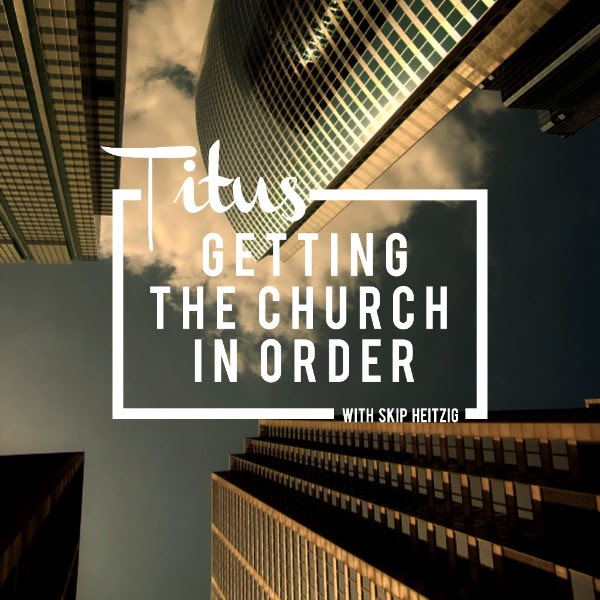 To find out where you fit in, check out Pastor Skip’s free series Titus: Getting the Church in Order. In Titus and Philemon, Paul appealed to two important men in the church about two different things: church order and a runaway slave. But in doing so, we can see just how much Paul cared about believers from all different walks of life. So take a page out of his book when dealing with Christians who come from a different background than you. After all, we’re all one in Christ. Heavenly Father, I pray that You would open my heart to believers from all walks of life. Help me to fulfill my role in the church and to bring reconciliation and unity to the body of Christ. 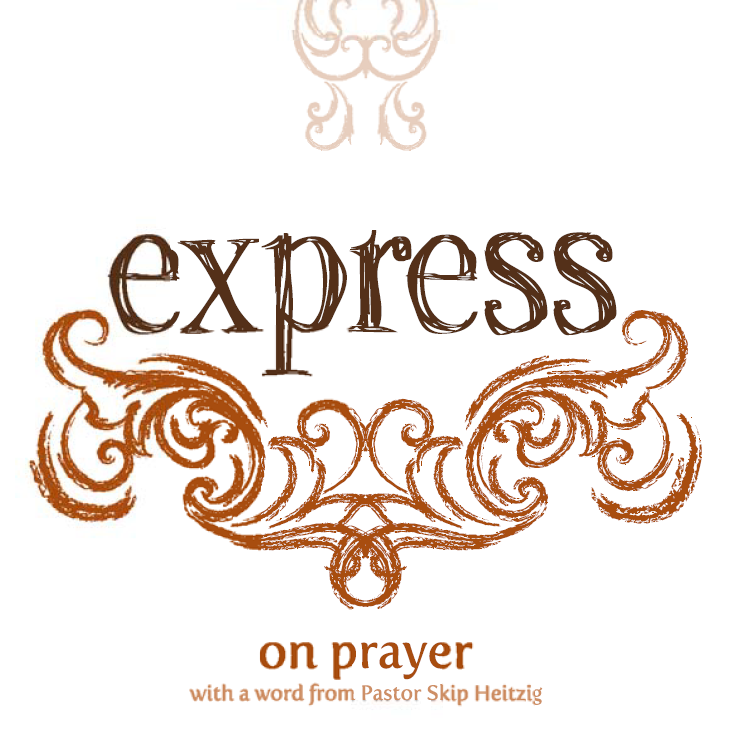 Download your free PDF copy of Pastor Skip’s booklet titled Express. Continuing Skip Heitzig’s “flyover of the New Testament. I haven’t forgotten about the study on John’s Gospel. I am in the process of putting the next post together which will finish out Chapter 3. I have been sick and my work schedule has been hectic lately and I am trying to put the post together around that. I will have it up as soon as possible. 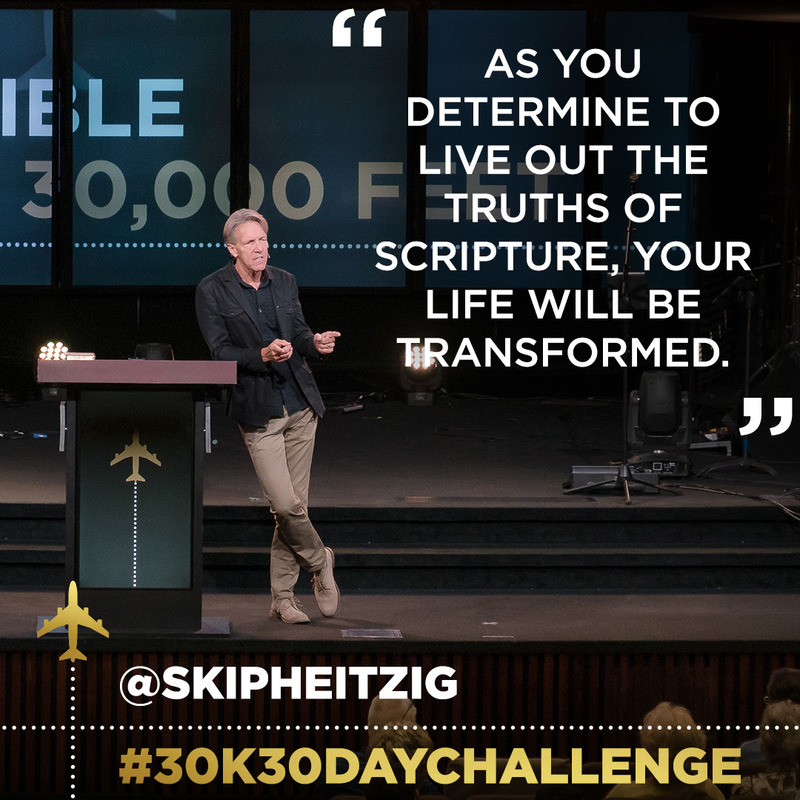 During this week of the 30K 30-Day Challenge, we learned more about the apostle Paul’s letters to various churches and to Timothy, his protégé in the faith. Choose an epistle from this past week and read it all the way through, asking the Holy Spirit to reveal what application you need to make to your life based on it. Spend some extra time in prayer and worship to the Lord. Consider writing down the main points from yesterday’s lesson on a notecard to keep in your Bible. 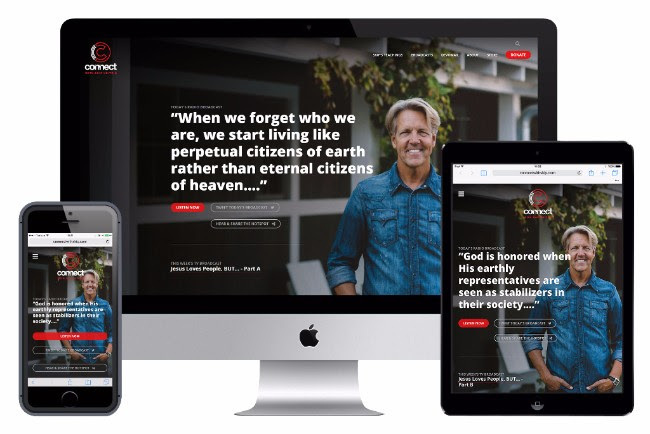 Check out Pastor Skip’s catalog of books,including You Can Understand the Book of Revelation, How to Study the Bible and Enjoy It, and more. We’ve already looked at what the Bible does for us and how we can understand it, but you can’t stop there. You have to take it to the next, most important step: applying it to your life. Believe God’s statements of truth. Obey specific commands, whether positive or negative. Declare God’s promises for your own. How does this apply to me today? What changes do I need to make based on this truth? How will I carry out those changes in my life? What will my personal prayer to the Lord be based on what I just read? What verse, what kernel of truth, should I memorize from this section? What illustration can I come up with to remember this truth? As you determine to live out the truths of Scripture, your life will be transformed, and reading the Bible will become a joy—you won’t be able to wait to see what God’s going to tell you next. Read Matthew 7:24-27. To whom did Jesus compare the person who does what He says? To whom did He compare the person who doesn’t do what He says? Some commandments in the Bible are only given to a specific person or group at a specific time, but you can still apply the core principle to your life. For example, read Matthew 19:16-22. Is this passage saying you should sell everything and give to the poor? Why or why not? What’s the core principle you can apply to your life? Do you find your daily joy and sustenance in reading, internalizing, and applying the Bible (see Jeremiah 15:16; John 4:34)? Why or why not? 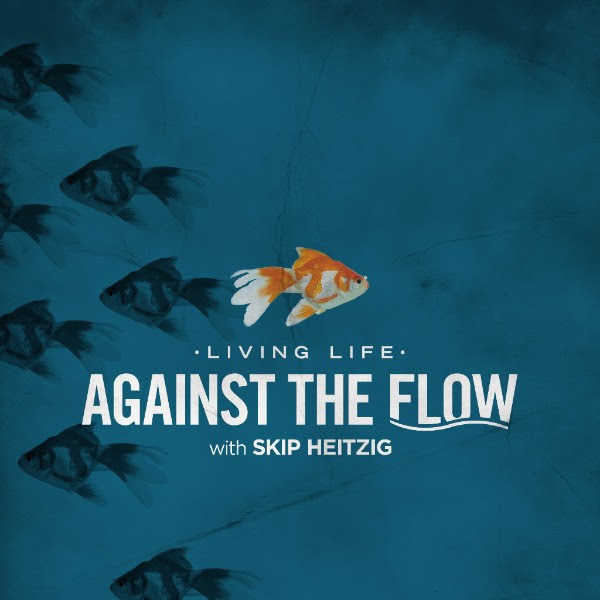 Check out Pastor Skip’s free teaching series Living Life Against the Flow, where he dives in to some of the basics of Christian living through the practical application of Jesus’ Sermon on the Mount. There’s a difference between studying the Bible and applying the Bible in your daily life. Some people become experts in the Scriptures, but their lives remain unchanged. The real joy is in turning the Bible loose and obeying it. Lord, I ask that You would make my heart open and ready to not only receive and internalize Your truth, but also act on it. 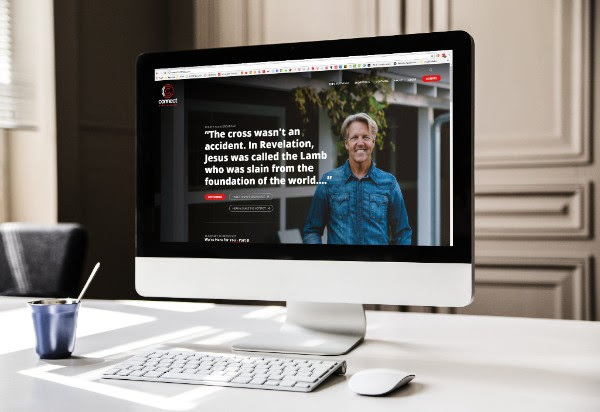 Subscribe to Pastor Skip’s YouTube channel,where you can be encouraged by his Bible teachings, watch interviews, and stay up-to-date with his ministry.